There are hundreds of products to choose from in many different categories that will help your business in our online catalogue. The extensive selection of products makes it easy to find the proper display for use at your business, and we add new products almost weekly to stay current with the latest trends, styles, & technologies. Slimline Warehouse has been a leader in Australia for POP, retail, POS, & exhibition displays for over 20 years. Our selection of products are all offered made of high quality materials at prices that can't be found anywhere else online. Orders placed by 1pm EST will despatch same day with most in stock products to anywhere in Australia from our warehouse. Order today in Wollongong, Brisbane, Cairns, Perth, Adelaide, Melbourne, Perth, Sydney, Hobart, & Gold Coast! Header holds a 280 x 210mm header card to announce what display is being used for! Lockable box includes keys to secure box and keep case contents safe from being tampered with! This plastic collection box is ideal for holding donations, suggestions, and comments in different locations so that you can gain feedback from customers or employees as well as collect money of different causes. 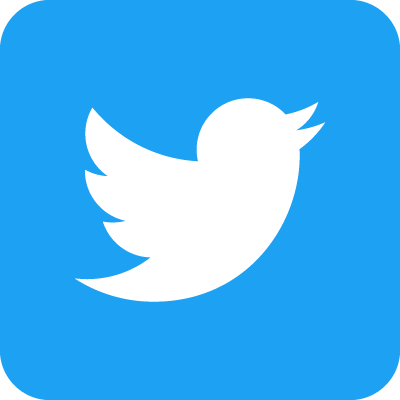 The acrylic case is used in effectively in many different locations including universities, offices, restaurants, churches, information centres, museums, and at festivals or trade shows! 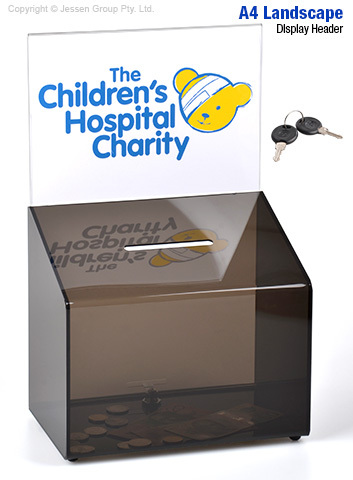 The charity donation display, plastic collection box is made from dark acrylic for a lightweight display that helps to conceal contents within the case. This acrylic offers a stylish look as well that is able to easily fit in with any décor. There are rubber feet on the bottom of the donation case that help to prevent scuffing when placed on tables, counters, or desks. This display has a header area that helps to identify what the case is used for so that passersby know whom they are donating to or where their suggestions are going towards. A 280 x 210mm graphic will fit inside the holder in landscape position. Using custom graphics to promote the container helps to put customers at ease with what they are using! This display is also lockable, with a set of keys included to seal the container. This helps to protect the contents from being tampered with and helps ensure that donations are not easily stolen when used at charity events! A 110mm wide slot in the top of the box is perfect for accepting money and suggestion cards from passersby. Order this quality display today for use at your location! Donation boxes are offered in different sizes and styles to best fit in with your business needs. There are many types of acrylic displays to choose from that will help your business to promote and outshine the competition. Brochure holders, poster frames, and photo frames are just some of the available products to choose from to help your company!